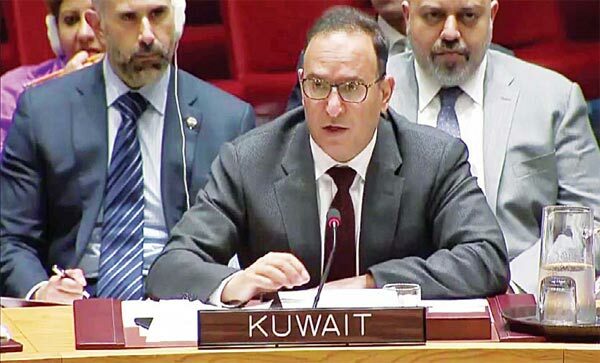 VIENNA, May 15, (KUNA): The State of Kuwait has warned of increasing rates of organized crimes and their connection with terrorist organizations. 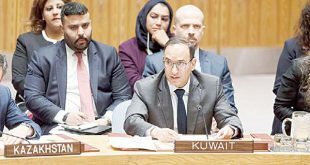 Kuwait’s Representative to the 27th session of the UN-affiliated Commission on Crime Prevention and Criminal Justice (CCPCJ), Badr Al-Masaad, called for raising awareness against such crimes and unifying international policies and efforts to maintain world peace and security. 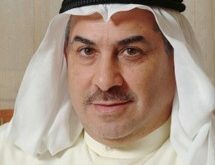 Kuwait is fully aware of importance and necessity of strengthening cooperation among states in the region and the world to maintain nations’ stability and security, said counsellor Al-Masaad, the Attorney- General at the State of Kuwait Ministry of Justice. 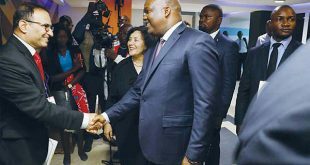 Maintaining peace and security is very important to create an adequate atmosphere to help in implementing the United Nation’s Plan for Sustainable Development 2030, he added. 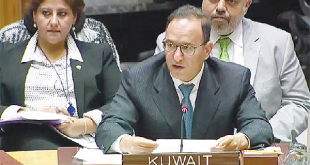 Moreover, Kuwait’s accession to the CCPCJ for the years (2019-2021) aimed to contribute to strengthening international cooperation in this area, Al-Masaad added. 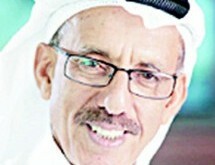 “We are now witnessing clear cooperation among states to consolidate principles of combating and preventing crimes and to cooperate in legal proceedings, on both regional and bilateral levels, whether through cooperation agreements and mutual legal assistance or through conventions on criminal extradition,” he said. 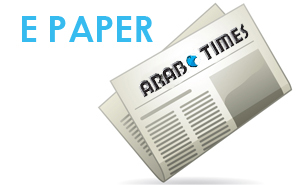 Fight against emerging crimes, especially cyber ones, became more necessary because of the close relation between international and regional crimes, particularly crossborder crimes and terrorist acts, Al- Masaad continued. 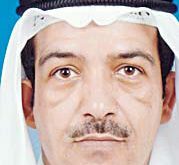 He called on the UN to draft of a comprehensive international agreement to support international efforts in combating all illegal electronic crimes. 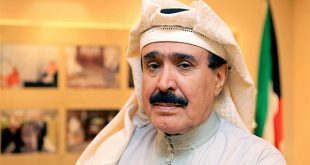 Further in this regard, he affirmed Kuwait’s appreciation of principles included in the Doha Declaration — issued by the 13th United Nations Congress on Crime Prevention and Criminal Justice. 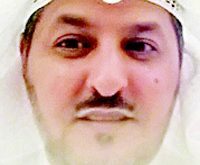 The Kuwaiti representative expressed support for ongoing preparations to hold the 14th United Nations Congress on Crime Prevention and Criminal Justice in Japan in 2020. 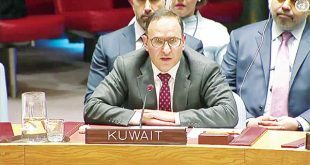 Kuwait’s Ambassador to Austria and its Permanent Representative to International Organizations in Vienna, Ambassador Sadiq Maarafi, headed the Kuwaiti delegation to the meeting. The delegation included the Attorney- General Al-Masaad, Assistant Undersecretary of the Ministry of Interior for Criminal Security Affairs Khalid Al-Dayeen, Assistant Undersecretary for Legal Affairs and International Cooperation Zakaria Al-Ansari and the Permanent Mission of the State of Kuwait Embassy in Vienna. 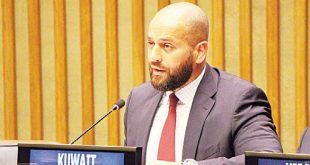 Meanwhile, the systematic targeting of the Rohingya villages’ northern Rakhine state is against human rights as policies against this Muslim minority is considered as acts of ethnic cleansing, said the Permanent Representative of Kuwait to the United Nations Ambassador Mansour Al-Otaibi. 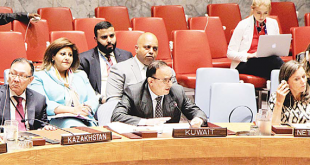 This came in a speech delivered by Al-Otaibi at a meeting for the UN Security Council on the visit made by its team to Myanmar and Bangladesh. 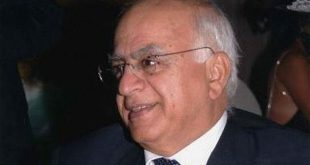 Regarding the official meetings of the Security Council in Bangladesh, Al-Otaibi expressed his appreciation to the Prime Minister of Bangladesh, Sheikh Hasina as the meeting reflected deep concerns of Bangladesh in regards to the crisis of the Rohingya refugees. 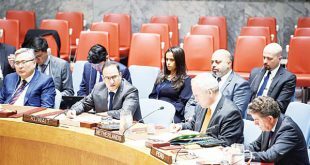 On April 24, members of the Security Council arrived in the city of Cox’s Bazar, Bangladesh, to assess the tragic situation faced by more than 1.2 million people in need of humanitarian assistance, he said.